The town of Gabrovo is famous throughout Bulgaria for the mentality of its natives. Their frugality and wittiness has been recorded in hundreds of humorous stories and jokes, collected in the book "Gabrovski Shegi" ("Gabrovo's jokes") that has been translated in over 20 languages and reissued over 40 times. The symbol of the town is a black cat with a bobtail – people in Gabrovo are told to cut their cats the tail short, so that the bedroom does not cool down, while it is going in and out. It is usually black because they through it in the chimney to not get the chimney sweep. The town of Gabrovo is situated in the middle of Stara Planina mountains very close to Bulgaria's geographical centre. The name of the town "Gabrovo" is derived from the tree "hornbeam", which according to the legend used to grow in the home of the most skillful blacksmith in the area. The area of Gabrovo has been populated since antiant times – 1600 years ago the Thracian had their settlements and left their tumuli in the surroundings of Gabrovo. The fortress Gradishte originates from Roman times. 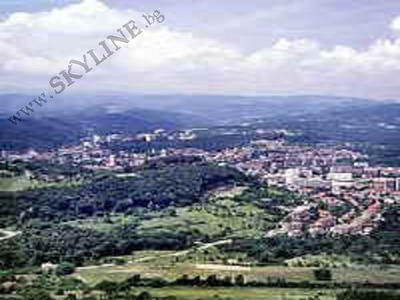 In the Middle Ages (12.century) Gabrovo was close to the then capital of Bulgaria – Tarnovo. This fact considerably changed people's way of living – besides the vegetable growing they started cultivating different crafts and industries and soon Gabrovo became popular for its blacksmiths, tailors, weavers, woodcarvers who even exported their goods in Russia, Romania, France, Greece, Turkey. After 1882 with the constructing of the first factories Gabrovo's industry experienced a boom and the town became one of the biggest industrial canters in Bulgaria specializing in the production of materials, leathers and metalworks. Due to the fast development gabrovo was called "capital of factories" and the "Bulgarian Manchester". In 1835 in Gabrovo was opened the first secular school in Bulgaria – an event of great importance for our history in the Revival period. Today the first secular school bears the name of its founder Vassil Aprilov and is one of Gabrovo's places of interest. Other places of interest are the fortress Gradishte, the old Baev bridge, placed in the centre of the town, made entirely of hewn stone and protected as a historical monument; the bridge named "Yoke", the bridge behind the theatre, the bridge of crafts, the bridge of arts, the bridge of sports, the upper bridge, etc. Gabrovo is correctly called town of bridges.